Advent is a season for stillness, for quiet, for discernment. It is a season of active waiting, straining forward, listening, attentive and finely tuned. Such is Advent, inwardly and spiritually, but of course outwardly and visibly, outwardly and audibly, it is the season when our eyes and ears are most complete assailed by all the glitz and glitter of a prematurely celebrated Christmas, all the pressure and sales-hype, the stresses on the diary and the wallet, the unremitting insistence of syrupy canned carols in the shopping mall. Of course partying and celebration are wonderful things and there is great joy to be had in the real meetings of faith and friendship in these days, but whilst Advent is still Advent, its good to keep a quiet space, a sacred time, an untrammelled sanctuary away from the pressures, to be still and hear again one’s deepest yearnings for a saviour. I hope that the poems from my Advent anthology Waiting on the Word, will help people to do just that. I am posting them here s that you can hear and read them, and if you have the book you will also find in that a meditative/reflective essay on each poem. I am posting this one for Advent Sunday, from then onwards I will post a poem each day and I am happy to say that these poems will be accompanied by original paintings made in response to them by Linda Richardson. Linda is an artist who lives in my village of Linton and has made a beautiful book of images in response to each of these poems as part of her own Advent devotion and this year she has kindly agreed to share them with us. 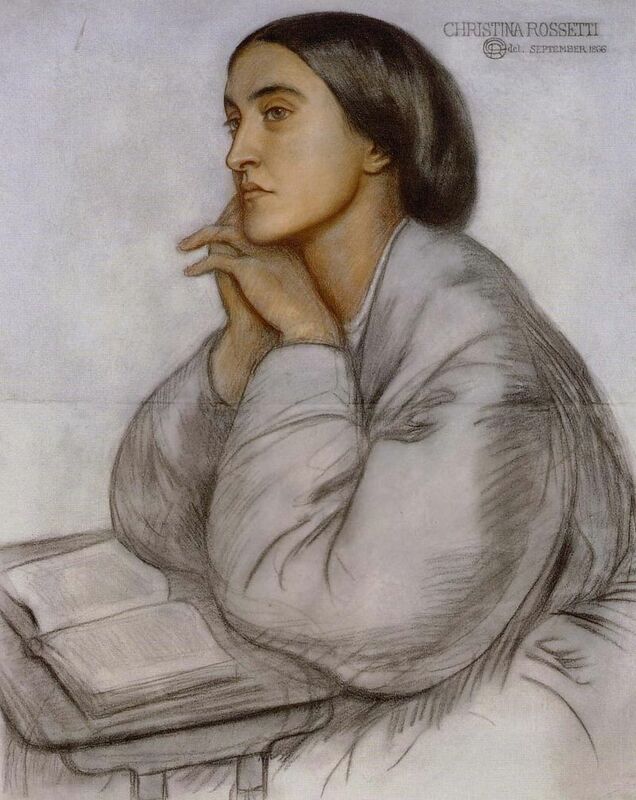 Today’s poem, the first in our series, is Christina Rossetti’s ‘Advent Sunday’. Most people will know her beautiful poem In the Bleak Midwinter, now set as a Christmas hymn. She was one of the great poets of her time and the author of some deeply moving Christian verse. Indeed her book simply titled Verses includes a sequence on the church year called ‘Some Feasts and Fasts’ of which ‘Advent Sunday’ is the first. 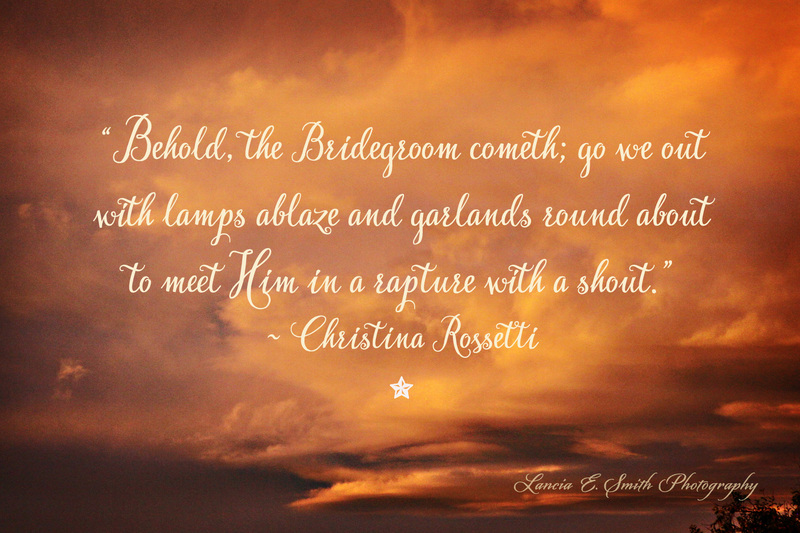 She frames this poem not only in the context of the Collect for Advent Sunday, about the coming of Christ, his Advent at the end of time, but also the Gospel of the Day: Christ’s story of the maidens with their lighted lamps awaiting the coming of the bridegroom. Rossetti takes the Gospel phrases and opens them out profoundly, allowing us to identify ourselves first with the bridesmaids and then with the bride herself. You can click on the title or the ‘play’ button to hear me read it and you can find the words, and a short reflective essay on this poem in Waiting on the Word, which is now also available on Kindle. 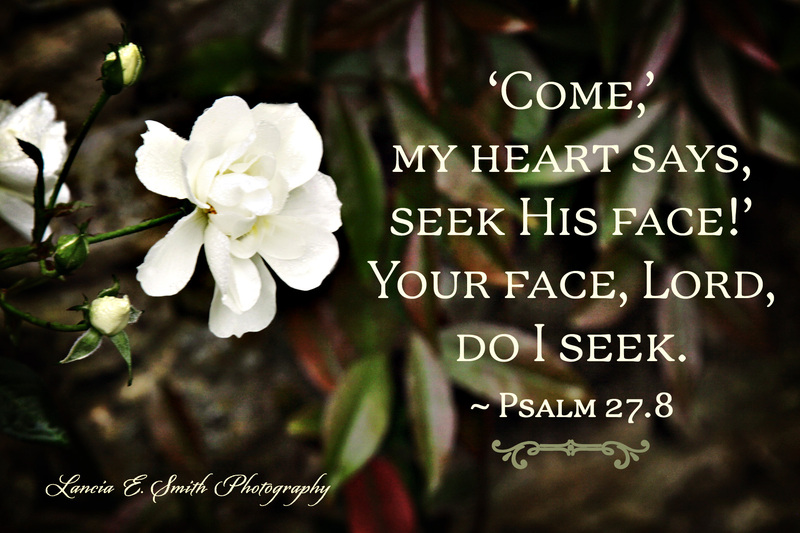 The images that accompany the poetry in Waiting on the Word were part of my spiritual discipline last year, Advent 2015. I made an image every day, so they are experimental, sometimes impulsively done, often inspired by the work of other artists. If I had known they would be shown here, I probably wouldn’t have had the freedom to make one every day. 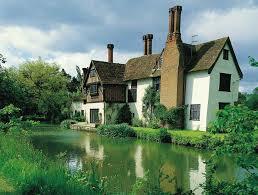 I am delighted to show them, and to tell you how they came about, and would like to encourage you to have a go too. As I come to reflect upon my own work a year later, I can see nuances that I hadn’t intended, areas where my subconscious by-passed my mind and made artistic decisions that have only been revealed as I return to them now, twelve months later. One night, when I was very young, maybe as young as four, I had a strange and deep experience. I got up to sit near the storage heater in the bedroom I shared with my sister, drawn there by the little light and by the warmth. As I sat there I was overwhelmed with a feeling of utter joy, happiness and deep reassurance that I was part of something safe and deeply good. I didn’t relate that experience to God and as I grew up, religion taught me that I could not trust myself, that God was watching me from a distance, and watching out for my sin. The experience I had as a child was not mediated to me through religion, but as I have continued in a religious tradition I can now see that child’s experience as God’s glance of love. 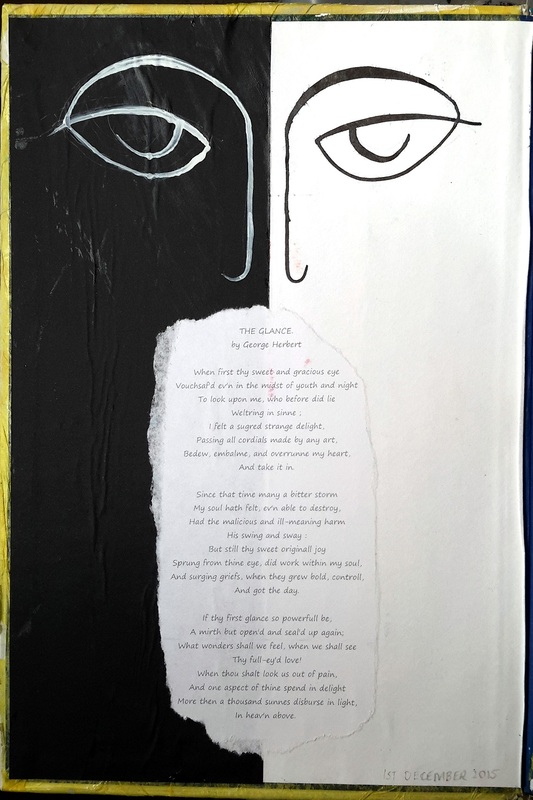 In the very simple work I made as a response to the George Herbert’s The Glance, there are two eyes but one face, two tones of paper but one experience, and as I sit in daily meditation, I do so both in darkness and in light. God is the mystery that no-one wants, the mystery we see, ‘through a glass darkly’ (1 Corinthians). These days I mostly ‘see God face to face’ when I am outside watching the soaring flight of a flock of birds or hear a robin in winter. You may see The Glance as you lift a baby’s foot to your lips, or watch two elderly people walking along holding hands. Perhaps we see God in these diverse ways because, ‘We shall be like him for we shall see Him as He is’. (1 Corinthians). Advent is a season for stillness, for quiet, for discernment. It is a season of active waiting, straining forward, listening, attentive and finely tuned. Such is Advent, inwardly and spiritually, but of course outwardly and visibly, outwardly and audibly, it is the season when our eyes and ears are most complete assailed by all the glitz and glitter of a prematurely celebrated Christmas, all the pressure and sales-hype, the stresses on the diary and the wallet, the unremitting insistence of syrupy canned carols in the shopping mall. Of course partying and celebration are wonderful things and there is great joy to be had in the real meetings of faith and friendship in these days, but whilst Advent is still Advent, its good to keep a quiet space, a sacred time, an untrammelled sanctuary away from the pressures, to be still and hear again one’s deepest yearnings for a saviour. I hope that the poems from my Advent anthology Waiting on the Word, will help people to do just that. I am posting them here s that you can hear and read them, and if you have the book you will also find in that a meditative/reflective essay on each poem. I am posting this one for Advent Sunday, then we will take a break until Thursday 1st of December. 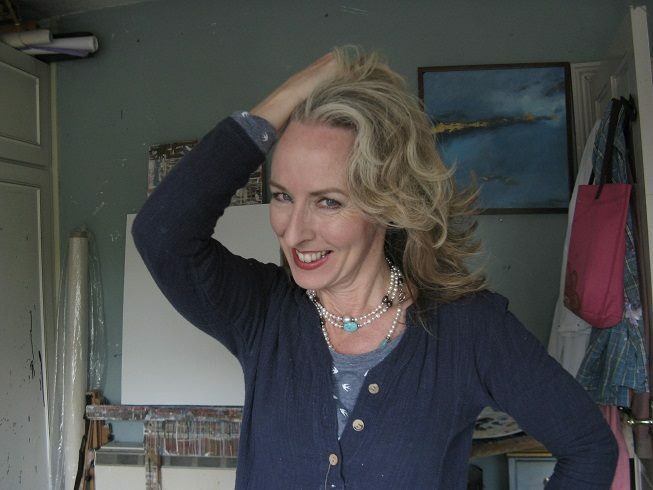 From then onwards I will post a poem each day and I am happy to say that these poems will be accompanied by original paintings made in response to them by Linda Richardson. Linda is an artist who lives in my village of Linton and has made a beautiful book of images in response to each of these poems as part of her own Advent devotion and this year she has kindly agreed to share them with us. Today I begin my series of posts for Advent, in which I read each day’s poem to accompany my Advent Anthology from Canterbury Press Waiting on the Word, alongside a series of reflective images kindly provided by Lancia Smith. You can enjoy these and more on her Excellent Website Cultivating the True the Good and the Beautiful. Today’s poem, the first in our series, is Christina Rosetti’s ‘Advent Sunday’. You can click on the title or the ‘play’ button to hear me read it and you can find the words, and a short reflective essay on this poem in Waiting on the Word, which is now also available on Kindle. Tomorrow, we have a pause for breath before the sequence in the book resumes on 1st December, but I shall still offer one of Lancia’s images here and an accompanying poem. I am happy to announce that my new book Waiting On The Word is published by Canterbury Press this coming Monday. It is a companion volume to ‘The Word in the Wilderness’, my anthology of poetry for Lent, Holy Week and Easter, so if you enjoyed that I hope you will enjoy this. 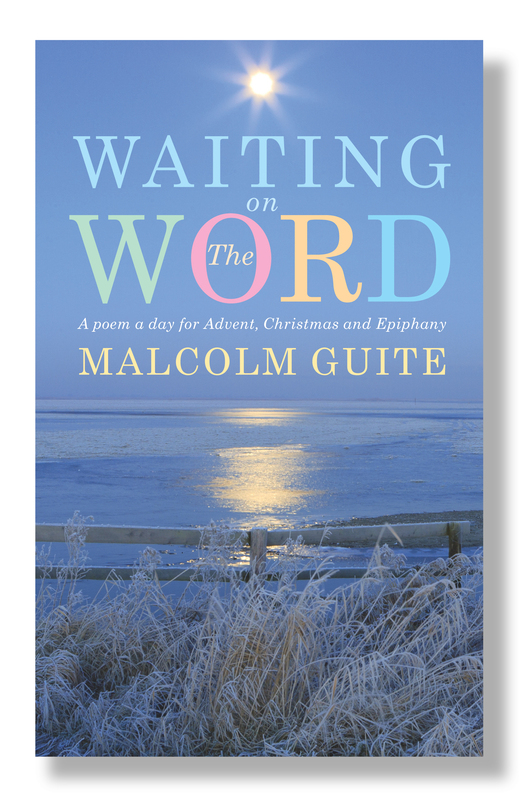 Waiting on the Word gives you a poem, and an opening out and reflection on that poem for every day from Advent Sunday, through to Christmas and beyond to the feast of Epiphany and the coming of the Wise Men. Advent is to Christmas what Lent is to Easter, but sadly Advent has been swallowed up in the rush, the busyness and pressure to consume that dominate the Christmas Season. This book offers you the chance to step back and set a little time, about five minutes, each day to awaken your soul and kindle your imagination to prepare for and contemplate the great and joyful mystery which Christmas celebrates. I have chosen great poems from the past, by poets like Christina Rosetti, George Herbert, and Edmund Spenser, but I have also included some wonderful poems by distinguished contemporary poets like Scott Cairns and Luci Shaw. I have also included some of my own poems, some which may be familiar, like my sonnets on the Advent Antiphons, and some which are entirely new and have not been published before. After each poem I have written a brief reflection to help readers appreciate the depths of the poem itself and also to offer some thoughts and meditations on what it means to read that poem in our own day and age. I hope you enjoy it. To launch the book into the world there will be a free event at Otley Hall, the beautiful, but easily accessible Elizabethan moated grange in Suffolk, and I would be glad if any readers of this blog could join me there for wine and cheese, some readings from the book and from my other poems, and a chance to meet and chat, and, if you wish, to buy a signed copy at a discount. Full details are below. For those who cannot make this event I have also listed below the other events between now and Advent at which you will be able to hear me read and buy a copy of the book. The book will of course also be available, from the end of this month, from the Publisher, Canterbury, from Amazon, and to order from your local Bookshop. I will be posting some little extracts from the book on this blog over the course of September and October.